It’s been a busy week. Lots of writing, lots of baking. I made this cake twice then, because I still had nearly an entire quart of buttermilk, I made these. 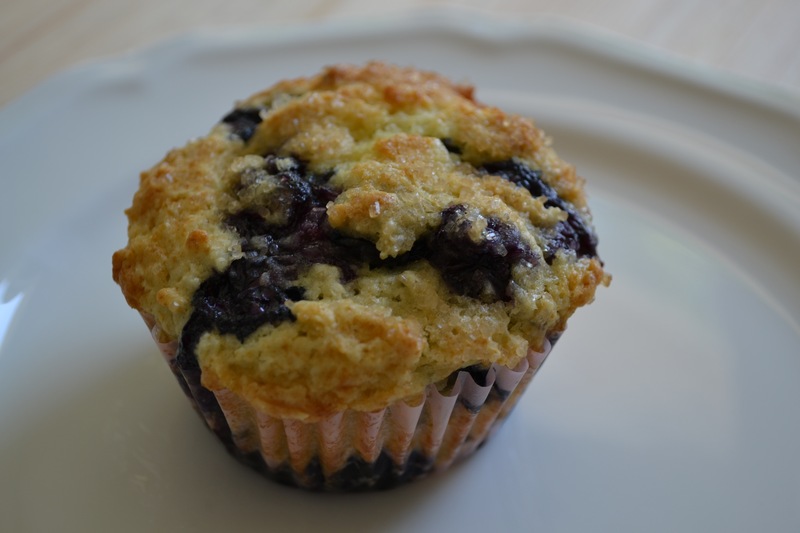 I am not a huge muffin enthusiast—most of the time, they’re just not very good. These are very good and not too sweet. I already ate two of them. I made this granola, too. It’s a great recipe; I used some brown rice syrup instead of honey and snuck in some big flakes of coconut. And then I took a picture of it, which was awful. Our kitchen is really quite a dark little corner of the house. I photographed the muffin on my desk. 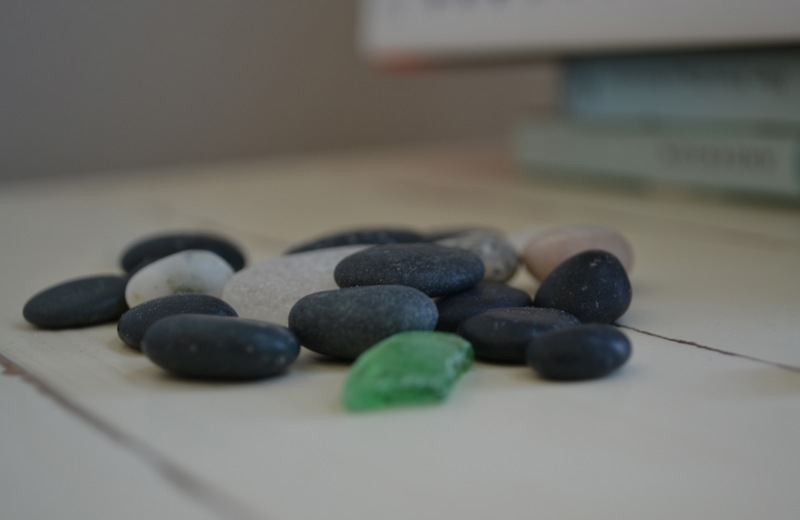 There’s a little pile of rocks and sea glass on my nightstand. I picked them up along a beach in Victoria on our honeymoon and put them in my pocket. From there, they migrated into the bottom of a bag, where I found them when I was packing for another trip a few weeks ago. I set them down here, and they’ve stayed. That’s kind of how things are going around here right now. We put some things down when we moved in and then they just kind of stayed there. The bay window in the front room is a prime example of this. There’s a pile of random stuff just sitting there, including an Ikea bookcase door that we can’t install yet because we’re missing a piece (of course), a large blue glass bottle, and a wreath of dried flowers, wherein Alice the cat decided to take a nap. She placed herself very nicely in the center of it and then went to sleep. Whenever I talk about animals whose names could be confused for humans, I always feel the need to clarify. I find it oddly unsettling when people give their dogs or cats names that frequently turn up as human names. Like Ashley. That would be weird. Alice is a little too close for comfort, but she came from the refuge with the name and it suited her. I think that when I mention Keats, people are (generally) not confused by the notion that the Romantic poet as taken up residence in my home and developed a number of bad habits involving houseplants and the pleasures of drinking from the toilet. I’m ready for the weekend. And maybe another muffin. This just makes me want a muffin.